Why the Japanese population are so much slimmer than the low-carb crazed Americans? 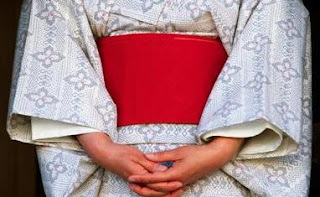 Statistics: Only 1.8% men & 2.6% women have BMI above 30 in Japan. In America, 19% of men and nearing a quarter of women are obese. Conclusion drawn: Obesity may not be related to rice consumption (I agree coz rice is the staple diet for Thailand, India and Indonesia). Japanese eat significantly smaller portions than Americans. Japanese serving bowls hold 1/2 to 1cup of rice at most- it’s almost like a child sized serving for American. 2. Japanese eat far more vegetables- filling up on fibre. Typical Japanese meal: meat, rice. 2/3 of the meal portion consists of vege. American: big bowl of pasta- and guess what type of dressing that typically fills the pasta: creamy mushroom, black pepper sause. 3. 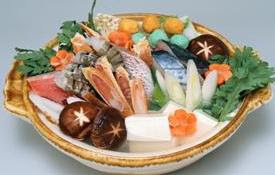 Japanese use mostly low fat cooking methods such as grill, boil or steam food..
American- mostly processed (high sugar and fat), fried, BBQ, or salad with rich dressing. 4. Japanese exercise more often. They walk a lot (take a lot of public transportation), they walk/cycle to work/do grocery shopping. Conclusion: If you have been trained from young to eat sensibly or in low portion with less processed food, you will tend not to have the insulin sensative problem described in Sugar Blues or Sugar Busters. Eating is just a way of life for the Japanese- just like something that we can get used to if we love our health enough to put our hearts into accomplishing it.